The Greek master of the weird Yorgos Lanthimos picked up the best screenplay award at the Cannes film festival Sunday for his icy thriller The Killing of a Sacred Deer. 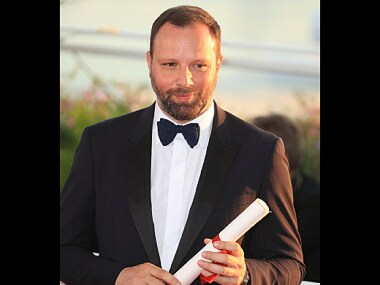 Yorgos Lanthimos at Cannes. Image from Getty Images. Despite dividing critics -- and prompting its star Nicole Kidman to say she wouldn't be taking her kids to watch it -- the creepy tale inspired by Euripides' Iphigenia impressed the Cannes jury. He shared the prize with Scottish director Lynne Ramsay for her film You Were Never Really Here. Sacred Deer picks up the laconic tone of Lanthimos's hit The Lobster but then becomes much darker after a heart surgeon played by Irish actor Colin Farrell operates on a man while he is drunk and kills him. Years later, the dead man's teenage son plots revenge, telling the surgeon he must choose a member of his family to kill or they will all suffer an excruciating death. Born in Athens, 44-year-old Lanthimos spearheaded a crop of young Greek filmmakers specialising in a so-called "weird wave" launched around the time of Greece's brush with bankruptcy. He cut his teeth on television adverts and dance videos before bursting onto the international scene in 2009 with Dogtooth, a film about the claustrophobic life of two sisters and a brother shut away in a villa by their dysfunctional parents. "We just did whatever the hell came into our heads," Lanthimos said of his early years as a director, recalling borrowing equipment and props and shooting in friends' homes. "A few friends, very little money. We just kept on making what we felt we wanted to make," he said. With just his second full-length feature, Lanthimos won the Un Certain Regard section at the 2009 Cannes film festival. His equally surreal Alps, the story of an underground organisation that helps mourners by impersonating the deceased, won best screenplay in Venice in 2011 and best film at the Sydney awards in 2012. By that point, Lanthimos had had enough of trying to make a career in crisis-hit Greece. Notoriously reclusive and media-shy, Lanthimos told The Guardian in a rare 2012 interview that he had "served his time" in Greece and was entitled to look for a better future in a functional environment where film-making was not regarded as a hobby. "I made three films in Greece under very difficult circumstances, so I think I've served my time," he told the paper, who called him the "laughing mortician" of contemporary Greek culture. "But I don't see it as jumping ship. It's not abandonment. One day I'll go back. It might be sooner rather than later." It took him a while to find his next project but when he did, the change in scope was palpable. In 2015, Lanthimos released The Lobster, a surreal black comedy about modern love, this time with the backing of Irish funds and bankable Hollywood names on the roster. 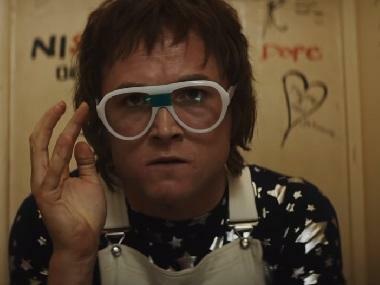 His first English-language feature, which featured Colin Farrell, Rachel Weisz and John C Reilly, and ended up bagging the third-place jury prize at the Cannes film festival. Lobster became an arthouse hit, making over $5 million worldwide and securing him an Oscar nomination for best foreign language film in 2017 -- Greece's first such accolade in over 30 years. Lanthimos was also in talks to film The Favourite, a period drama starring Weisz and Emma Stone about the rule of Queen Anne in 17th-century Britain.